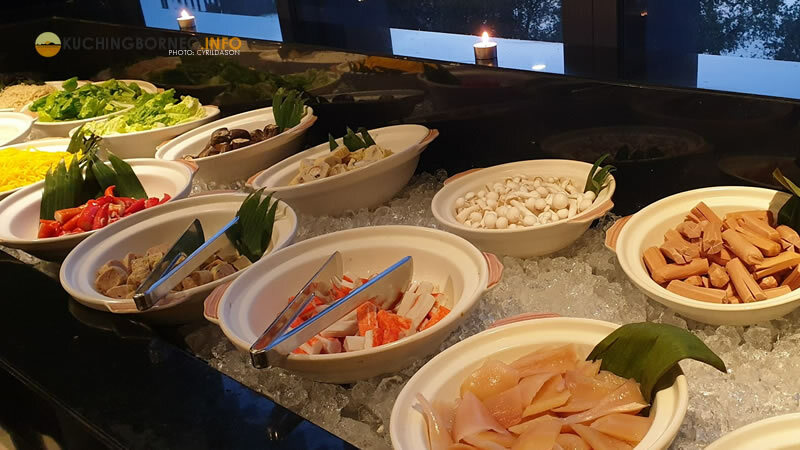 The month of Ramadan is coming soon and the UCSI Hotel Ramadan Buffet 2019 is the first of such buffet I get to try this time around. 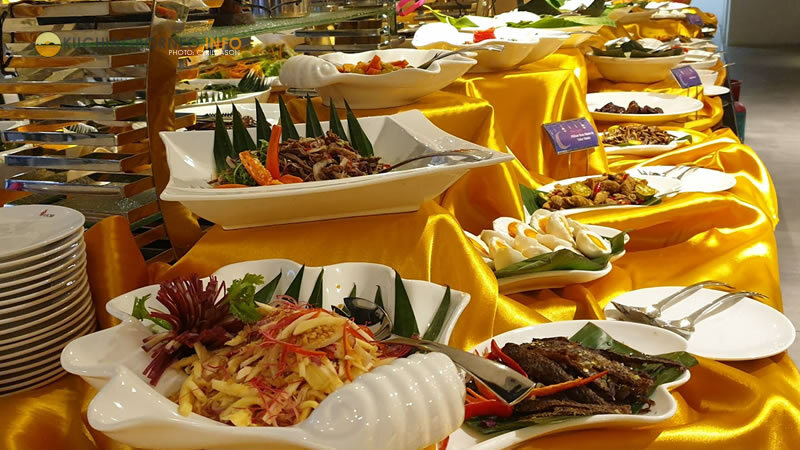 Such buffets are usually served to break fast (buka puasa/sungkei) and it’s the same with UCSI Hotel’s buffet. 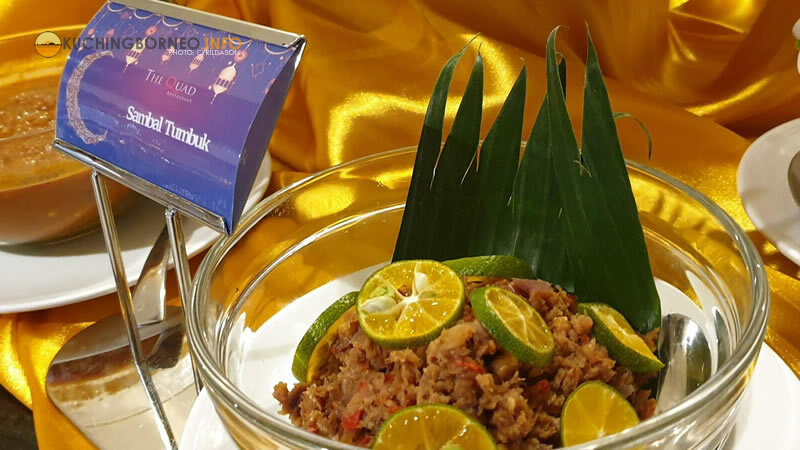 Titled ‘Selera Aneka Rasa’, the buffet is served at The Quad Restaurant at the third level of UCSI Hotel. 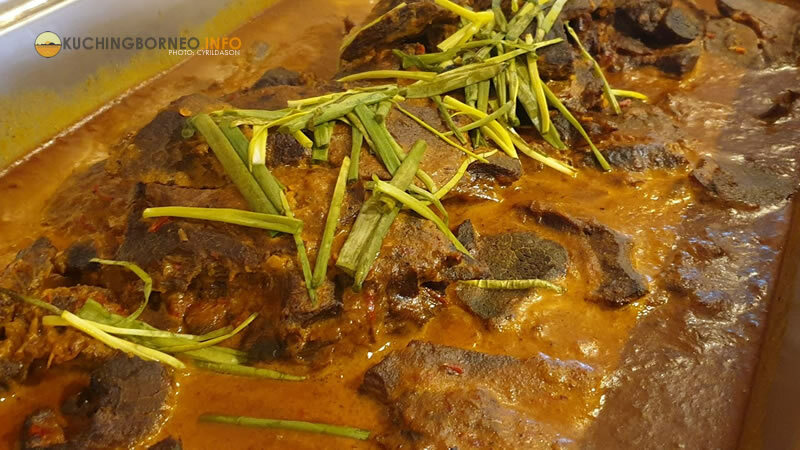 This is the third time the restaurant is serving a Ramadan buffet, but it is the first time the restaurant is doing it with their newly approved Halal Certification from Jabatan Agama Islam Sarawak (JAIS). One thing I loved about the UCSI Ramadan buffet 2019 is the fact that I could enjoy the lovely Kuching sunset while waiting for ‘buka puasa‘ time. Usually, the buka puasa will be around 6.30 – 6.45PM here in Kuching, and this is generally the time of Kuching’s sunset. 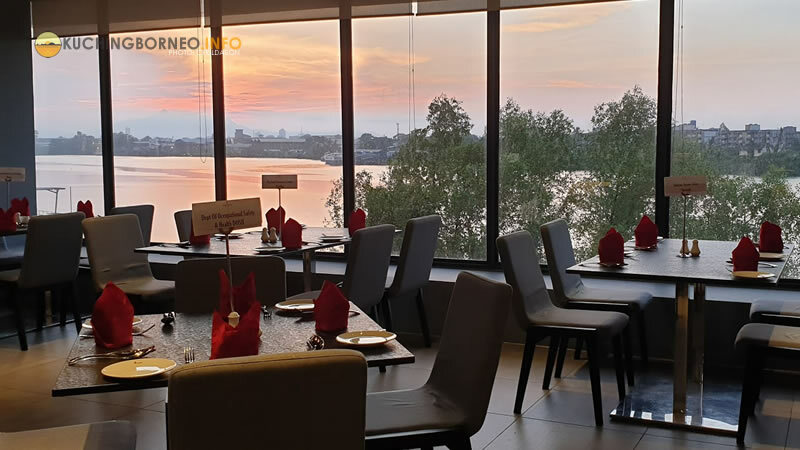 Since the Quad Restaurant is overlooking Mount Serapi with glass panel windows, guest like myself will get to enjoy the beautiful sunset Kuching has to offer while breaking fast and eating. I can’t think of any other restaurant or place that offers such magnificent view of Kuching’s glorious sunset for buka puasa. Views aside, the Quad Restaurant is also very spacious. Each tables I noticed were quite a distance from each other and this allows ample room for guest to move without interrupting other guest. During the food tasting, soft Hari Raya music was played within the restaurant. I think this was a good move because the Ramadan Buffet in Kuching are attended by non-Muslims as well and sometimes ‘prayer like music’ does make non-Muslims feel slightly uncomfortable. There’s plenty of food options at the UCSI Ramadan Buffet. 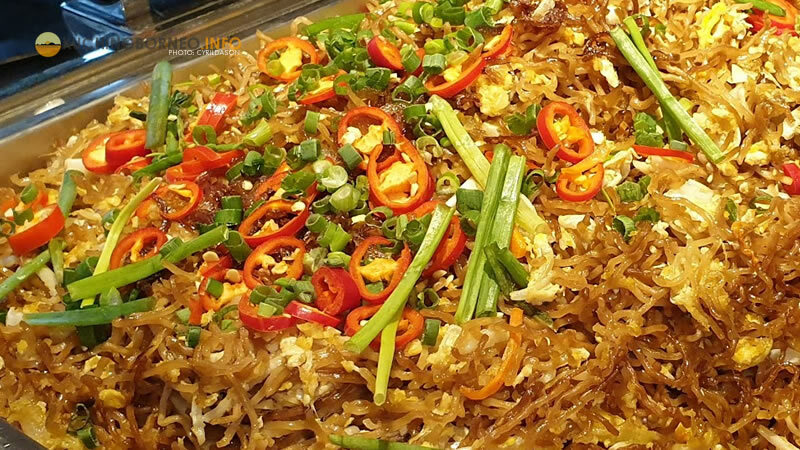 For hot cooked meals, there’s like eight to ten options which are very West Malaysian influenced. I say ‘West Malaysian’ influence because the Head Chef of Quad Restaurant Chef Bakhtiar, is from Batu Pahat Johor. 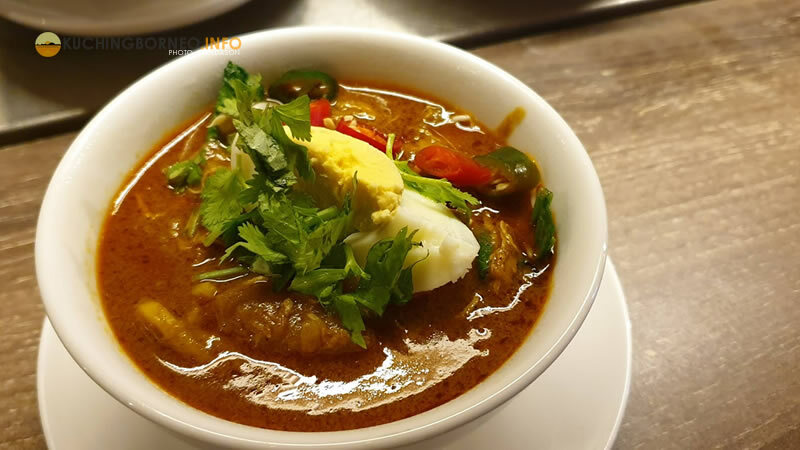 I am very familiar with dishes from Batu Pahat and West Malaysia and in my opinion, Malay food from West Malaysia is good food. 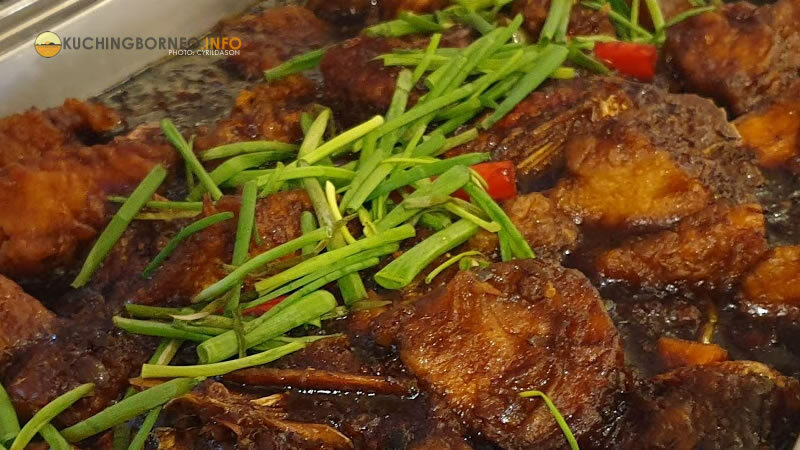 Among the varieties available are Ayam Percik, Ikan Goreng Berlada, Gulai Lemak Daging Berempah, Masak Lemak Pucuk Ubi, Rendang Ayam, and surprisingly Maggi Goreng Mamak. Below are some photos of the dishes available. At the ulam-ulaman corner, there’s a variety of kerabu, different types of sambal, cincalok, rojak and so on. I’m a fan of kerabu so this section was just screaming out to me throughout the night. The soup of the day was Tom Yam soup, and keropok is also available. I personally loved the variety of fresh fruits available at the fruit section and the cakes were a good mixture of local and international. Beside the dessert section was the Yong Tou Fu section. The Goreng – Goreng Stalls there was a variety of fritters which included Keropok Lekor, Cucur Udang (prawn fritters) and Cucur Pisang (banana fritters). Next to the Goreng-Goreng Stall was the Noodle Stall which served a really good Curry Mee, and the Grill Stall had Roti John, Roti Canai, Roti Jala and Murtabak. 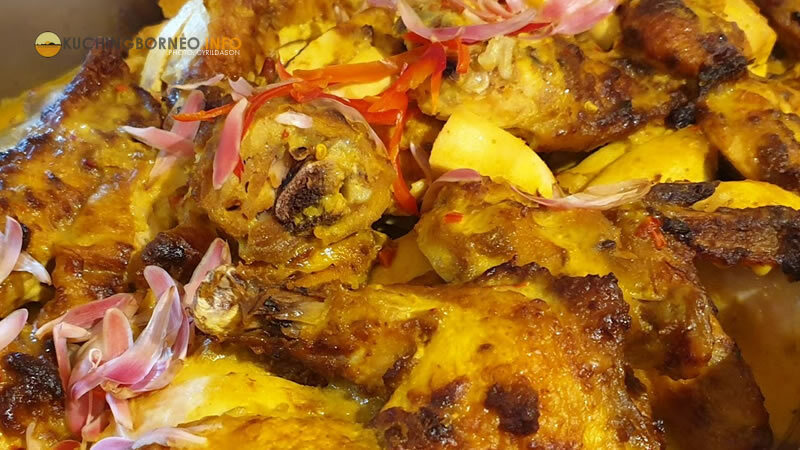 Aside from the dishes listed above, there was also a choice of Nasi Mandy Arab with choice of Kambing Panggang (grilled lamb) and Ayam Pangang (grilled chicken). For desserts, there’s the all popular ABC and Cendol. 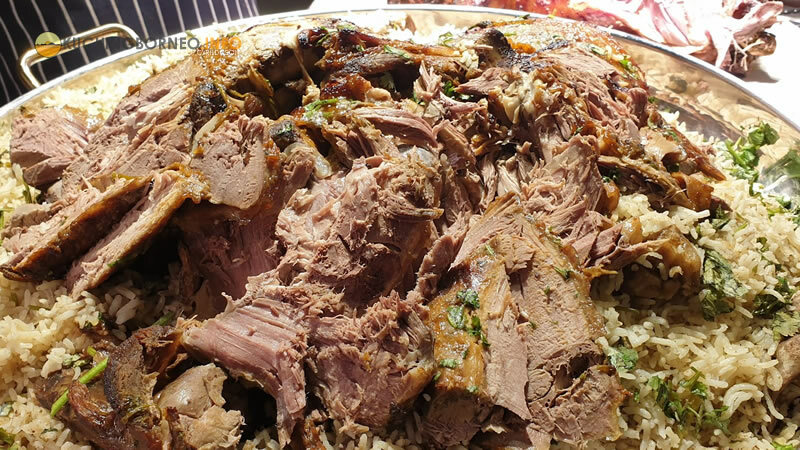 Here’s a video of UCSI Hotel’s Ramadan Buffet I did. 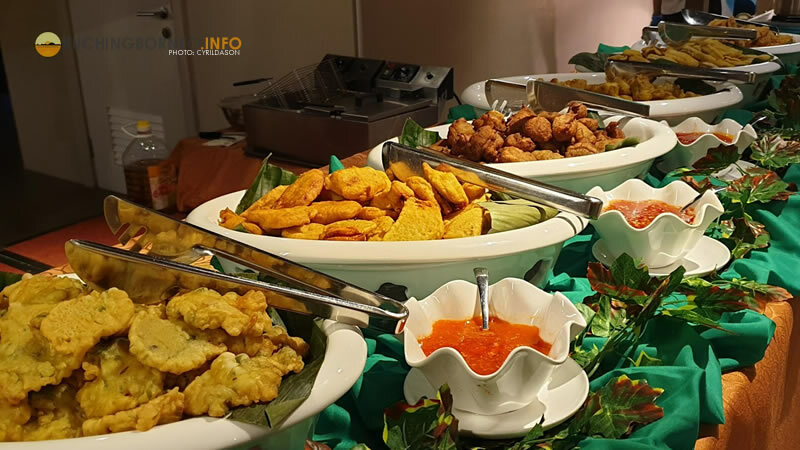 Since this is my first time at the UCSI Hotel Ramadan Buffet, the task at hand was searching for what UCSI Hotel did right in their Ramadan buffet. 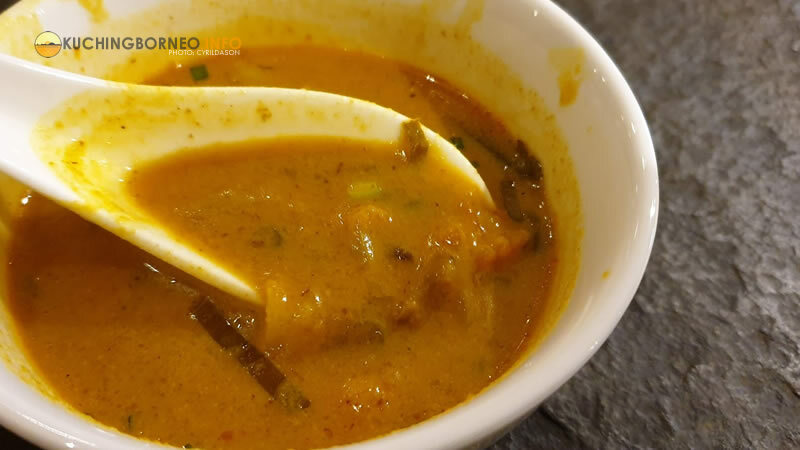 There was a few dishes that stood out for me at the UCSI Hotel Ramadan buffet. One was the Bubur Pedas. This local Sarawakian dish which is a must at any Ramadan Buffet was done to perfection that I had more than one bowl. 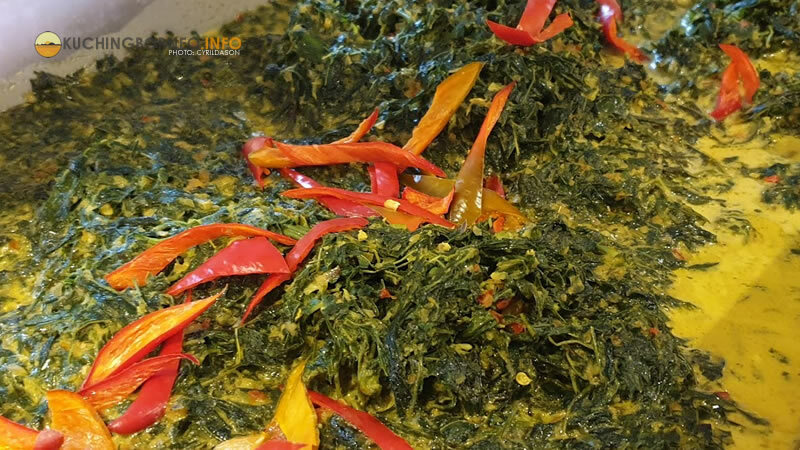 Served warm with a variety of vegetables, the Bubur Pedas was not too spicy but simply delicious. My wife told me that one can either make it or break it when it comes to Bubur Pedas, but UCSI Hotel nailed it. Another dish that stood out to me was the Mi Kari (Curry noodles). The curry for the noodles was thick and I thought the spiciness was just enough. The noodles was served at one of the live stalls and the presentation was equally enticing. The selection of local ‘kampung‘ delicacies also stood out for me as the Sambal Tumbuk was like the ones I had at home and the Kerabu Paku was spot on. Last but not least, I thought the Yong Tou Fu Stall was something I don’t often see in a Ramadan buffet around Kuching. 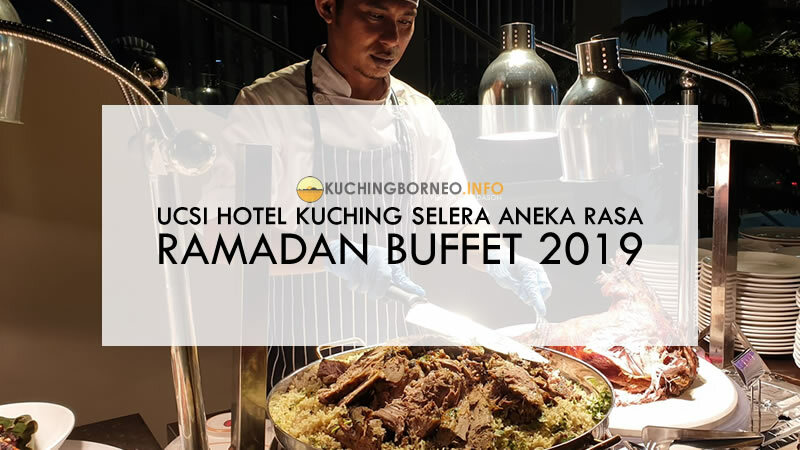 Compared to other Ramadan buffets in Kuching which I have compared in my Kuching Ramadan buffet list and guide, UCSI Hotel’s Ramadan buffet is considered cheap. Priced at only RM78nett per adult for “Book and Pay”, it has a good range of selections which equals most other competitors. Walk in prices are slightly higher at RM88, but children and senior citizens eat for RM39nett per person. There’s also a 20% discount for group bookings of over 30 pax. The buffet is special because it has one of the best views for a ramadan buffet. The Quad Restaurant’s seating arrangement makes it spacious getting to the buffet table is easy. UCSI Hotel also has ample parking for drive in guest. I know food taste is subjective, so if you want to try out the UCSI Hotel Selera Aneka Rasa buffet, book yours seat by dialing +6082596612 for reservations. You can quote my site when booking if you want, but there’s no special rates-lah.